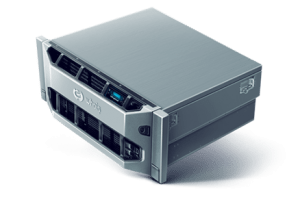 Affordable Data Recovery Cape Town and Midrand Company specializes in Raid Data Recovery and Hard Drive Data Recovery such as internal or external hard disk drives, solid-state drives, USB flash drive. Affordable Data Recovery Cape Town and Midrand. Data Recovery Professionals specializes and experts in Raid and Hard Drive Data Recovery from mechanical, clicking, buzzing, beeping, and other non accessible hard drives failures from all hard drive brands including but not limited to Fujitsu Hard Drive Recovery, Hitachi Hard Drive Data Recovery, IBM Hard Drive Recovery, Quantum Hard Drive Data Recovery, Samsung Hard Drive Recovery, Toshiba Hard Drive Recovery, Western Digital Hard Drive, Seagate Hard Drive Recovery in Midrand…. Data recovery on hard drives and other media storage devices is the process of salvaging data from damaged, failed, corrupted, or inaccessible secondary storage media when it cannot be accessed normally. Often the data are being salvaged from storage media such as internal or external hard disk drives, solid-state drives (SSD), USB flash drive, storage tapes, CDs, DVDs, RAID, and other electronics. Recovery may be required due to physical damage to the storage device or logical damage to the file system that prevents it from being mounted by the host operating system. Data Recovery Services in Midrand. We offer professional hard drive repair and hard drive recovery with verified security. We specialize in treating all types of computer hard drive failure including read/write hard disk head crashes, electronic damage on external hard drive and laptop harddrive. Whether you have lost work critical business data or personal photos and documents, we offer an efficient and affordable data recovery service from our Midrand lab. We recover data from Windows and Mac machines, from all makes and models of hard drives. Laptop or desktop, external hard drives, servers and RAID arrays, you can be certain that we offer you the best chance of data recovery with our high success rates and proven experience and expertise. Need help in recovering your Data? Desktop Data Recovery – Laptop Data Recovery – Server Data Recovery – External HDD Data Recovery – RAID Data Recovery – Hard Drive Data Recovery – Flash Drive Data Recovery – Solid State Hard Drive Data Recovery – CD/DVD Data Recovery – File Data Recovery & Email Data Recovery. Data Recovery Professionals in Cape Town and Midrand is a expert and delivers a Professional service and we’re the leader in professional hard drive data recovery in Midrand. We have the most affordable rates and pricing and offer a professional and efficient service in Durban and Midrand for our Hard Disk Drive Data Recovery Service. Data Recovery Cape Town. We are data recovery specialists and experts in the hard disk drive data recovery sector in Durban and Gauteng area as many companies claim to provide “data recovery” services. We do Data Recovery Services and also specialise in web development services and IT support Services. Data Recovery South Africa is an Intratec Brand, we are the industry leaders in South Africa and is professional, with the quickest turnaround time at competitive pricing. Services include and not limited to, Windows desktop data recovery, Laptop data recovery, USB external hard drive data recovery, USB flash drive recovery, Apple Macbook data recovery, Solid State Drive data recovery (SSD), email data recovery, and recovery of deleted and corrupted files. Data Recovery is Midrand’s leading data recovery specialists. Offering data recovery services for all of South Africa’s data recovery needs. Data Recovery Midrand: server data recovery. Midrand’s data recovery experts, Intratec provides and professional data recovery. Tip: The best free data recovery software to recover deleted, formatted or lost data from PC, laptop or removable device easily and quickly. … Intratec Data Recovery Pro Wizard Free guides you to find out lost files precisely and recover from PC, laptop, hard drive, SSD, USB, memory card. National and international data recovery pro and data sanitization services in Gauteng (Pretoria, Johannesburg, Centurion), Kwazulu-Natal (Durban), Eastern Cape (Port Elizabeth, East London), Western Cape (Midrand, Bellville), Limpopo (Polokwane/Pietersburg), Mpumalanga (Nelspruit), North West (Rustenburg), Free State (Bloemfontein), Northern Cape (Kimberley) and all other cities in South Africa (ZA) and throughout the rest of South Africa! Raid Recovery National and international and data sanitization services in Gauteng (Pretoria, Johannesburg, Centurion), Kwazulu-Natal (Durban), Eastern Cape (Port Elizabeth, East London), Western Cape (Midrand, Bellville), Limpopo (Polokwane/Pietersburg), Mpumalanga (Nelspruit), North West (Rustenburg), Free State (Bloemfontein), Northern Cape (Kimberley) and all other cities in South Africa (ZA) and throughout the rest of South Africa!